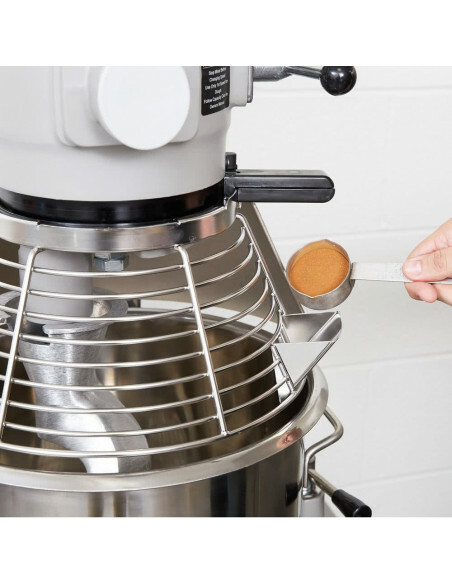 Is mixing ingredients quite a tedious endeavor? 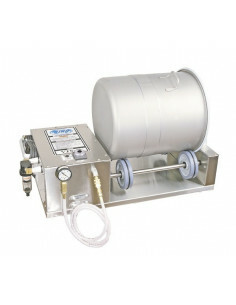 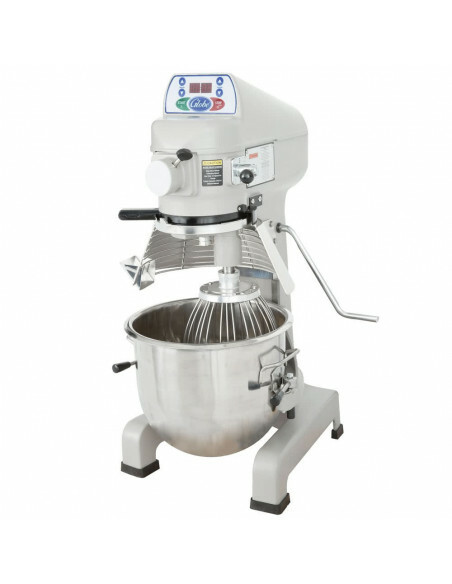 This Globe SP20 Commercial Planetary Mixer (20 kg) is a powerful tool to ease your mixing concerns. 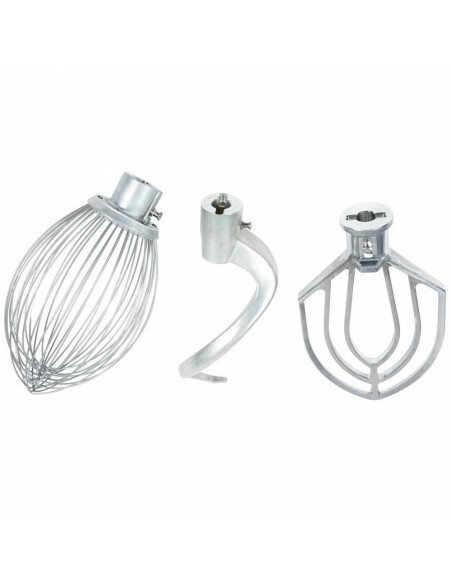 What more could you benefit from this equipment? 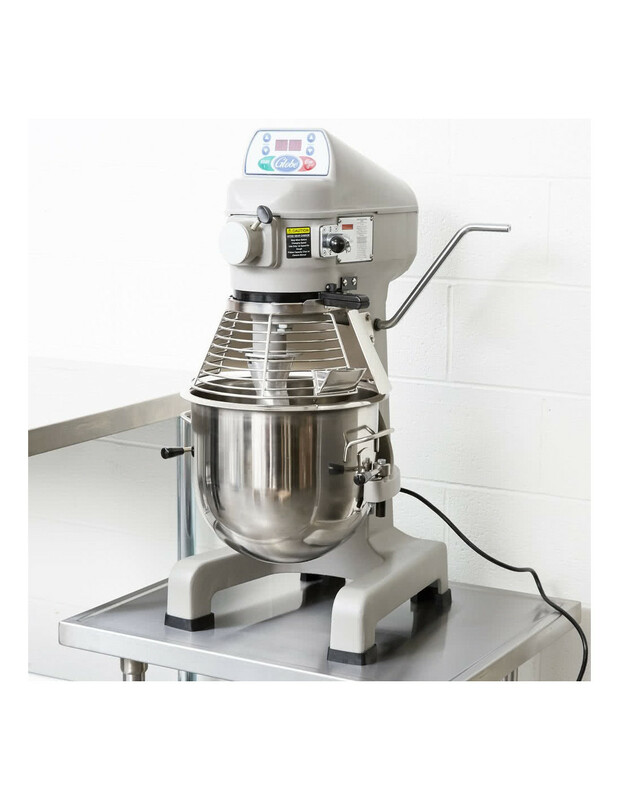 This commercial stand mixer integrates mixing capacity with a compact footprint. 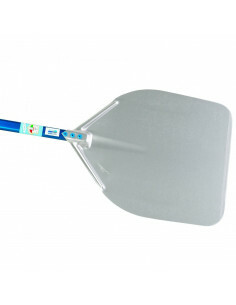 It is highly suitable for combining batters, mashed potatoes, and pizza doughs. 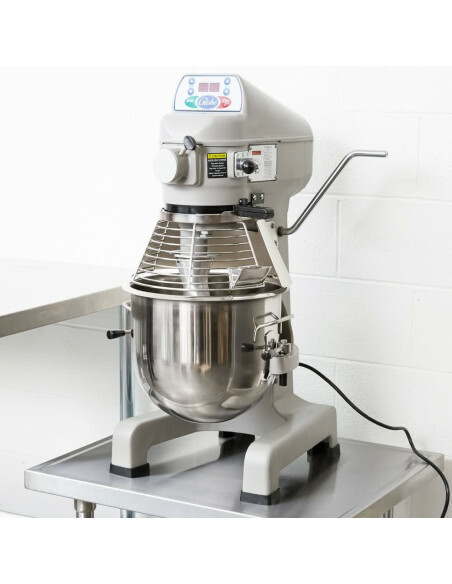 It is a reliable mixer that provides consistent results all the time. 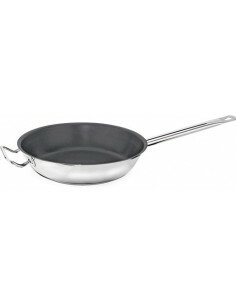 The durable cast-iron construction ensures long-lasting usage. 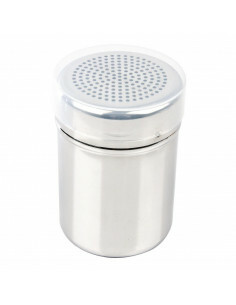 The heat-treated gears eliminate noise while in use. 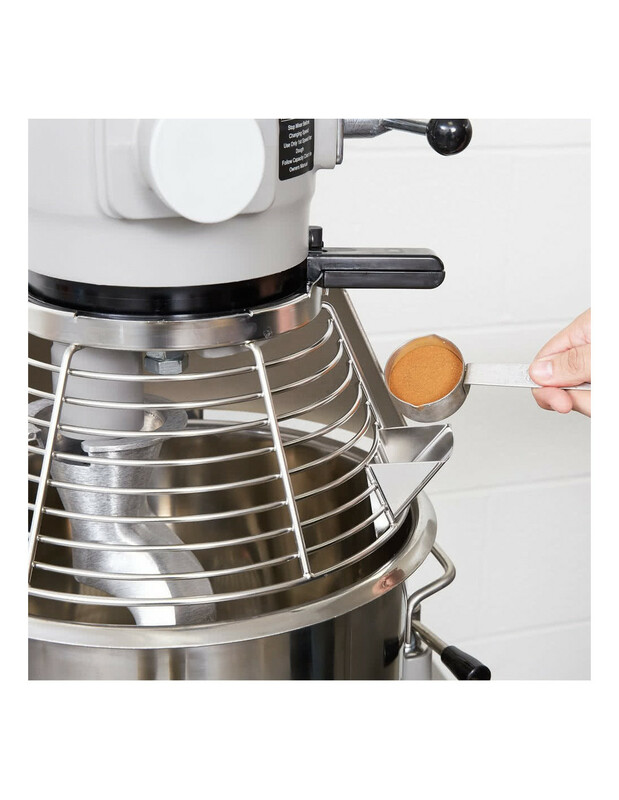 Its ergonomic hand lever adjusts the bowl position with ease. 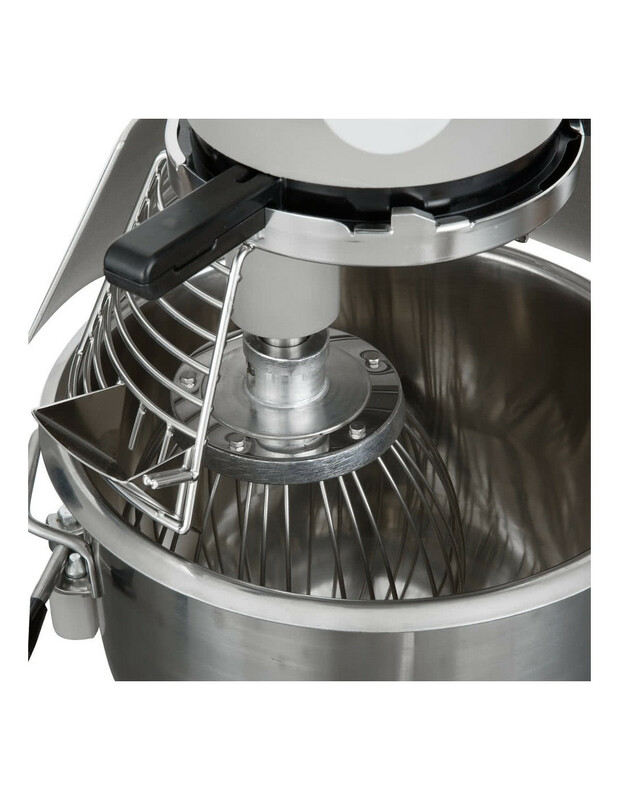 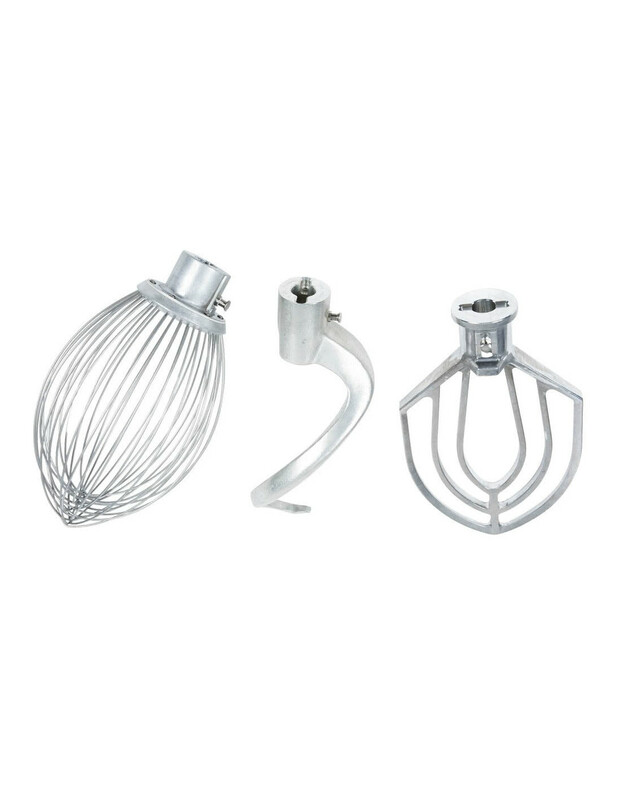 An interlock system closes the mixer whenever the bowl is lowered for additional safety. 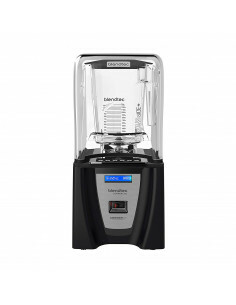 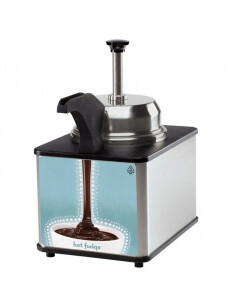 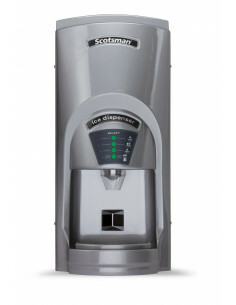 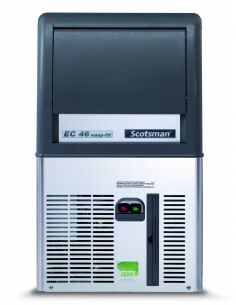 It uses 0.5 HP, where the gear-driven motor has three speeds, which can withstand your most demanding mixing jobs. 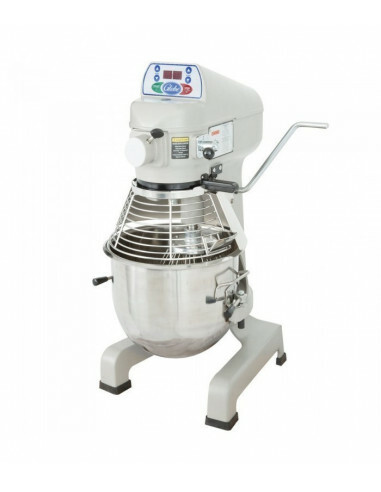 It has a heat-treated transmission with hardened alloy gears that give high torque mixing power and quiet operation. 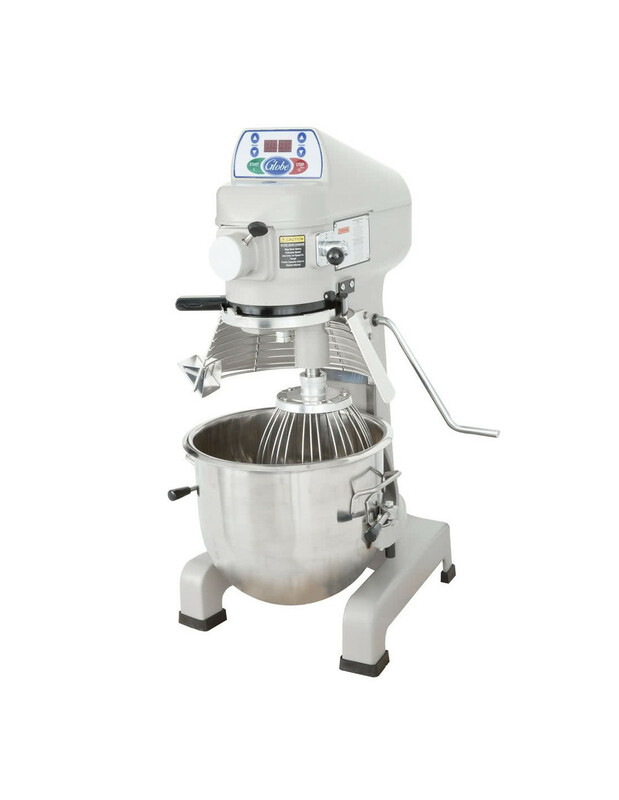 It has easy-to-clean and sleek digital controls with LED display, where its digital timer has excellent accuracy and restarts when the mixer is switched off/on. 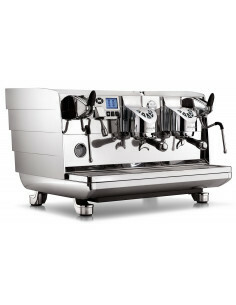 It has a convenient control panel found in front of the equipment. 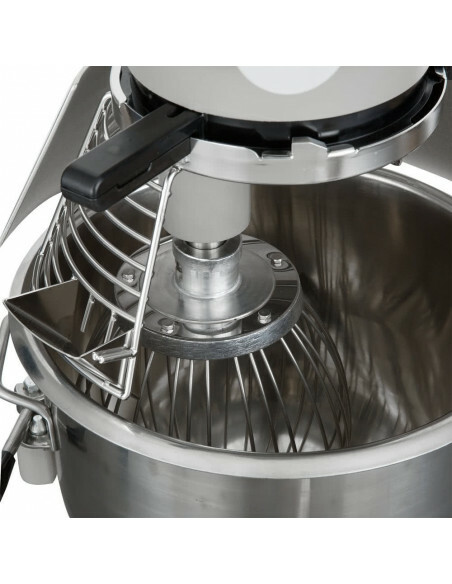 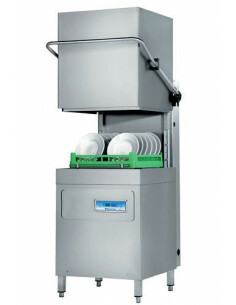 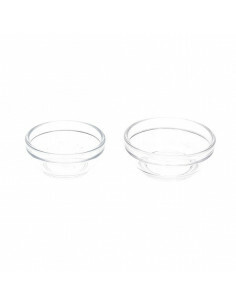 The bowl guard has an ingredient chute to help you to add ingredients safely while mixing. 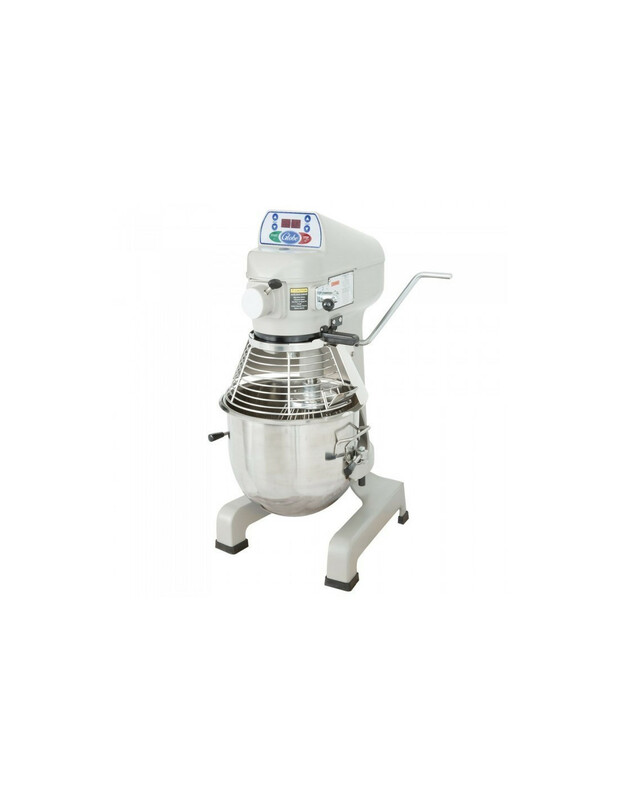 Mixing becomes effortless whenever you use Globe SP20 Commercial Planetary Mixer (20 kg). 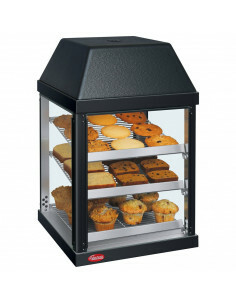 Globe Food Equipment Company was created in 1920. 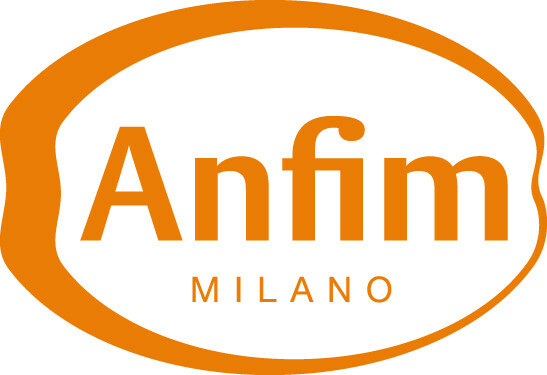 Its main office is based in Dayton, Ohio, USA. 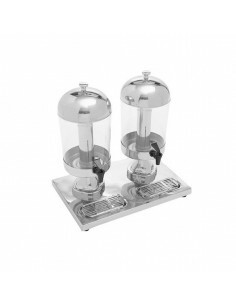 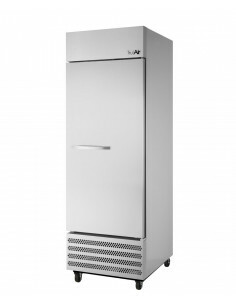 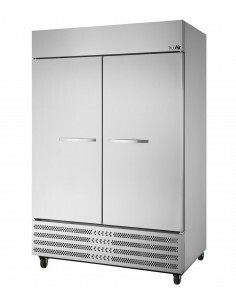 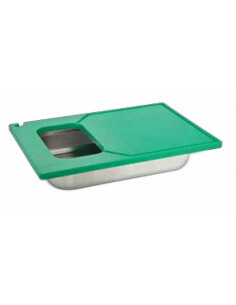 The company provides food preparation equipment for different restaurant chains, local food shops, and hotel restaurants. 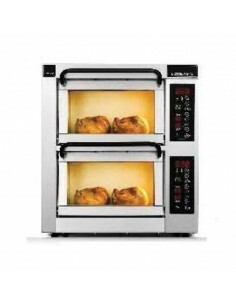 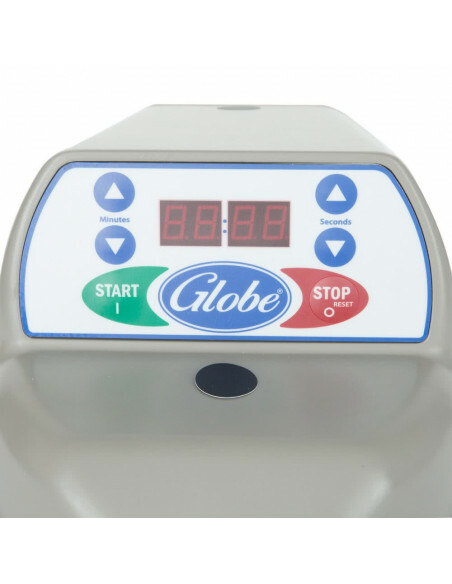 Some of Globe’s notable products are slicers and mixers, which include countertop mixers, mixer accessories/attachments, and floor mixers, gas countertop cooking, and electric countertop cooking and warming equipment. 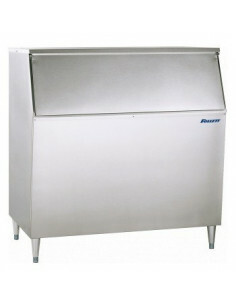 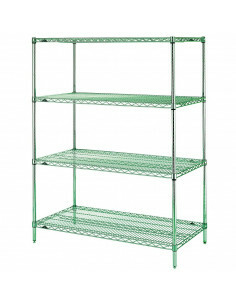 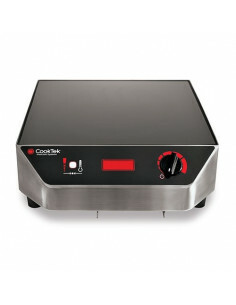 Also, it offers different scales used for price computing, label printing, and portion control. 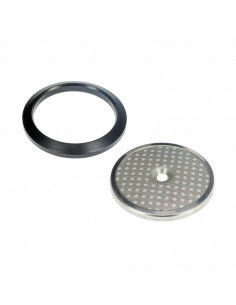 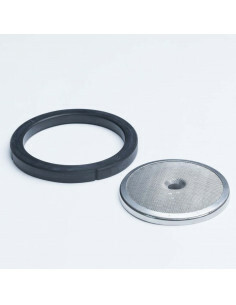 Other products include meat choppers and vegetable cutter replacement discs. 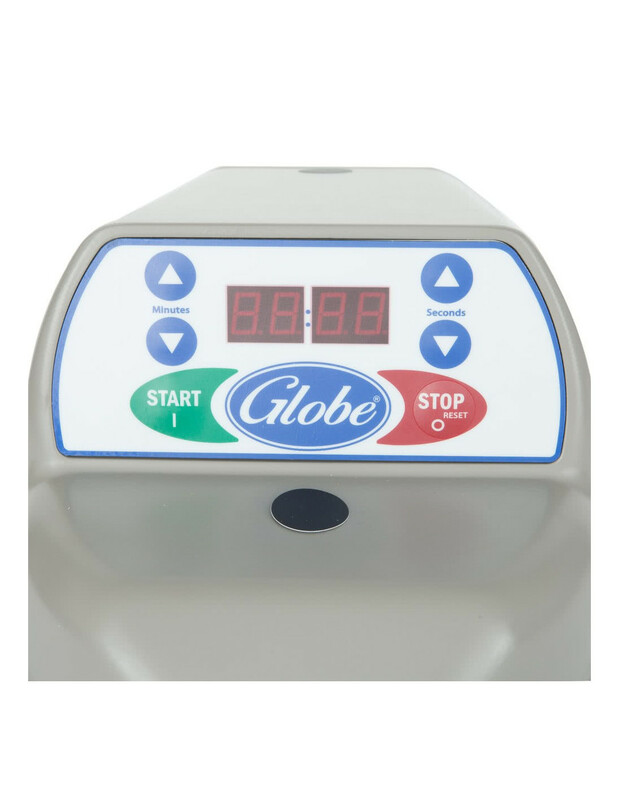 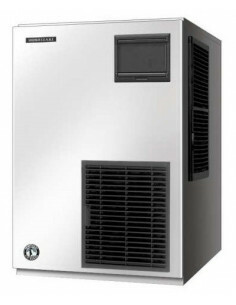 Globe ensures that all its products are durable and reliable. 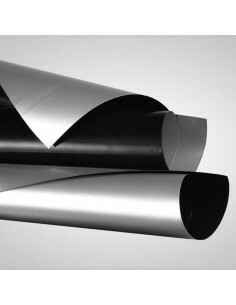 The company values quality manufacturing, innovation, and exceptional service. 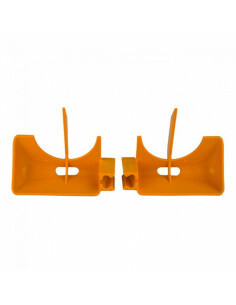 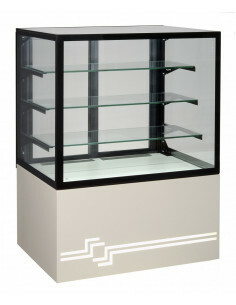 To stay long in the food business industry, it continues to promote new designs and materials.